If there was any doubt about the risks posed by free VPNs, it has been put to bed today after a new report showed that the majority came from developers based in China. Under its authoritarian Communist regime, China has developed the world’s most intrusive online surveillance system. VPNs are banned in China and the regime’s ongoing crackdown on online freedom means that, without a VPN, nothing you do online there is private. It is the last place on earth, you would want your VPN to be based. But research has shown that 60% of the most popular free VPNs are either owned in China or were created by Chinese developers. The report was undertaken by Simon Migliano, Head of Research at Metric Labs. 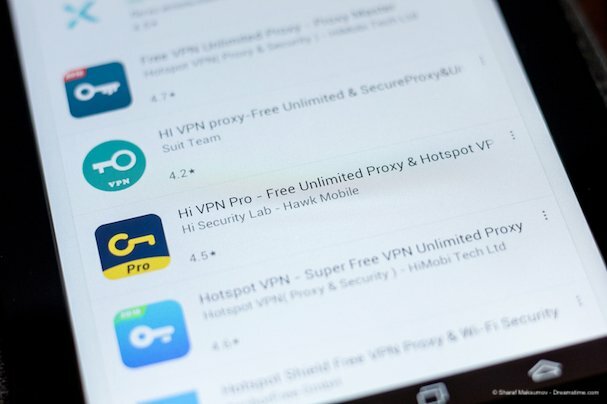 He analysed a total of 30 different free VPNs apps, which included all of those that appeared in the top 20 free VPN searches on both the Apple and Google mobile app stores. The results are quite staggering. Of the 30 free VPNs researched, it was found that 17 were either legally registered in China or owned by a Chinese company. These included prominent names such as HotspotVPN, TurboVPN, and Secure VPN. Companies based in China are required to make all user data available to the Chinese Communist Party. This means that users of any of these 17 free VPNs are likely to be having their data handed over to one of the world’s worst authoritarian regimes. Users in some parts of the world, may not care too much about this. But if you are using these VPNs inside China, a neighbouring country, or one of the many places China claims to be part of its territory, such as Taiwan, the risks could be significant. Of the rest, most didn’t even bother to hide the fact that they were brazenly logging and profiting from the internet data of their users. Several admitted to tracking users, sharing data with third parties, and most worryingly of all, sharing data with Chinese third-parties too. The reality is that while a few don’t bother to hide their logging and data-sharing habits, almost all free VPNs are guilty of such practices. As we have explained before, free VPNs have to cover their costs somehow and the easiest and most lucrative way is to sell on user data. The study also found that almost two-thirds of the VPNs analysed, a huge 64%, didn’t even have a dedicated website for their service. Instead, they just operated an app which could be downloaded through either the Apple App store or Google Play store. This is a sure-fire sign that they are focused on building a user base as fast as possible rather than showing any pretence of offering a serious and dependable VPN service. The findings of this report offer yet more evidence of what we have been arguing for years; free VPNs simply aren’t worth the risk. This report confirms that most free VPNs offer no privacy protections and, in fact, are likely to put your user data at even greater risk than not using a VPN at all. Furthermore, the links held by so many free VPNs with Communist China make their practices even more sinister. The Chinese Communist Party cracks down on political dissent in all its forms and anyone posting online and believing their privacy is protected by using these VPNs could be putting themselves at real risk. But there are risks to others as well. If you are sharing confidential information, such as corporate data or financial information, using these free VPNs, it is quite likely that information will end up in the hands of the Chinese state, which has a long track record of stealing and using such data. There are plenty more reasons why you should not use a free VPN if at all possible. And these days, it really isn’t necessary. For just a few dollars a month, you can sign up for a reputable VPN such as ExpressVPN, NordVPN, or IPVanish. They offer dependable privacy policies, strong encryption, and a guarantee that no user logs are retained. They also have absolutely no links to the Chinese Communist Party. It is a small price to pay for genuine online privacy and, to be honest, it really is a no-brainer!